After asking Matt what our login and password might be, I have finally found my way back to our blog. I don’t know if anyone out there in ReaderLand will be around to check up on us after such an absence, but I thought it would be good to touch base again. It was a hard adjustment to come back to the States from our time in Costa Rica. Everything felt too big, too clean, and too nice. Then came the return of TOO BUSY! So, what has the Lord been doing in our lives for the past year +? 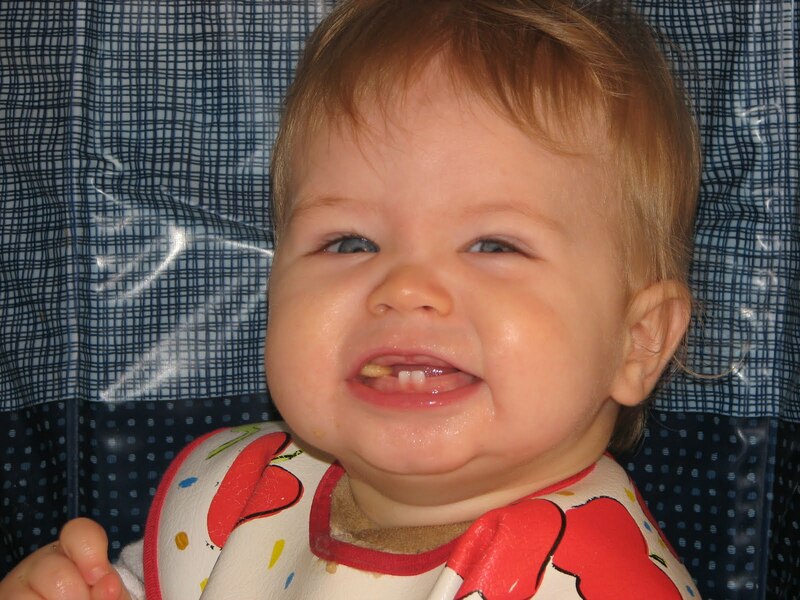 Well, The biggest item of note is that we had a darling son March 12, 2009 and named him Ezekiel John. This is my favorite picture of him a few days after he was born. Here’s what he looked like this afternoon, enjoying his lunch. 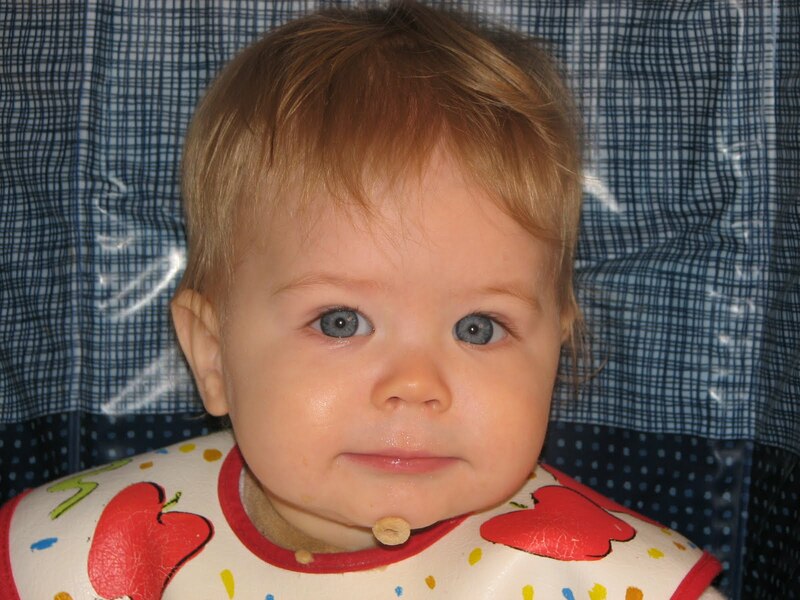 Just to reassure you that the cheerio eventually made it’s way to the right spot. 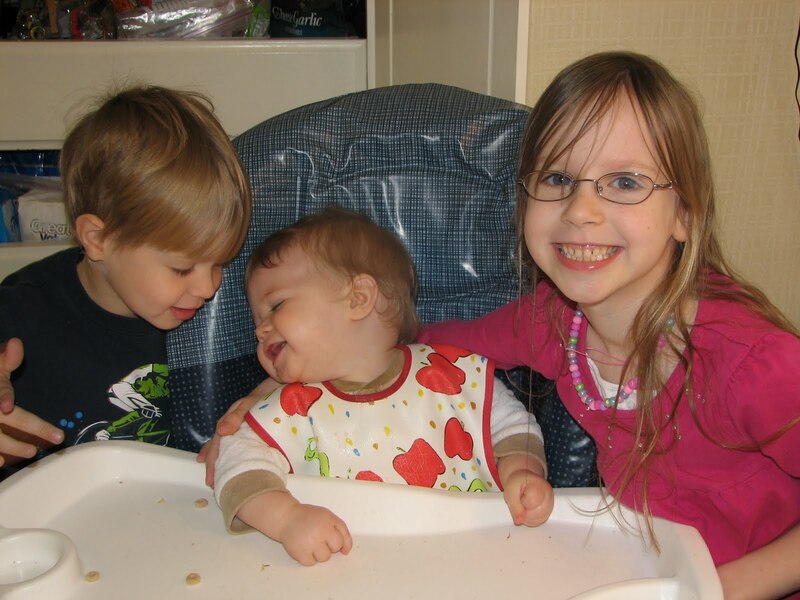 . .
. . .and that Eliana and Elijah adore their baby brother! I think I will sign off, now, but will hope to keep making posts now that the ball is rolling. Blessings to you all! 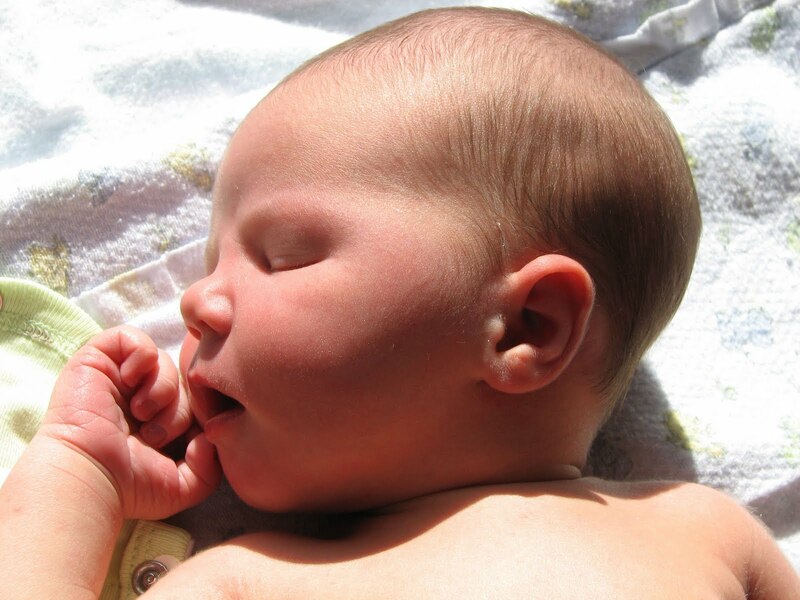 This entry was posted in Kris' Heart and tagged baby, Costa Rica, Ezekiel. Bookmark the permalink. I'm reading! Google Reader is wonderful for remembering what blogs I want to check up on. The pictures are lovely!!! Such cute children. He is just adorable Kris! What cute pictures!